On Wednesday, Delhi court has issued an open-ended, non-bailable warrant against Vijay Mallya in connection with the 1995 Foreign Exchange Regulation Act (FERA) violation case. 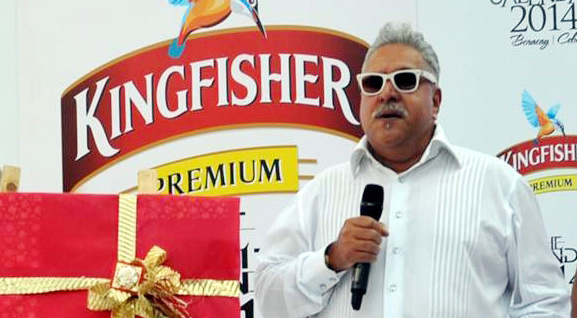 According to the Enforcement Directorate, Mallya had reportedly paid $200,000 to a British firm for displaying Kingfisher logo in Formula One World Championships in London and some European countries in 1996, 1997 and 1998. As per reported by India Today, The agency also claimed the money was paid without prior approval from the Reserve Bank of India (RBI) in violation of FERA norms. In December 1995, Vijay Mallya had signed a contract with London-based firm Benetton Formula Ltd for the promotion of the Kingfisher brand abroad. On March 2, 2016, Vijay Mallya left India for London, the day public sector banks, to whom he owed an estimated Rs 9,091 crore in loans, moved the Debt Recovery Tribunal against him. On the other hand, India has handed over a formal request to the British High Commission for his extradition.